Understanding of OVO-like proteins (OVOL), which are members of the zinc finger protein family, serve as transcription factors to regulate gene expression in various differentiation processes and are involved in epithelial development and differentiation in a wide variety of organisms. Thus, comparative genomic analysis among three different OVOL genes (OVOL1-3) in vertebrates may shed a light onto this crucial gene for development of molecular diagnostics and targeted therapies. Genomics. Author manuscript; available in PMC 2010 June 29. Published in final edited form as: Genomics. 2002 September; 80(3): 319–325. Analysis of mouse and human OVOL2 gene products. (A) The 5′ end sequences of the mouse Ovol2B cDNA and the deduced OVOL2B protein. The “#” symbol indicates the position of an internal methionine previously mistaken as the initiation codon . (B) Deduced amino acid sequences of OVOL2A proteins in mouse (mOvol2A) and human (hOvol2A). The “*” symbol indicates amino acid identity. The four C2H2 zinc fingers are underlined. The predicted NLS sequences are boxed. Sequences common to mouse OVOL2A and OVOL2B start at the brackets in (A) and (B). Human OVOL2B starts at the internal methionine (bold). Shown in bold and italics are positions where our predicted sequence differs from the previously reported sequence . (C) Phylogenetic analysis of OVO proteins. cOvo, C. elegans OVO (GenBank acc. no. AF134806); dOvo, Drosophila OVO (GenBank acc. no. X59772); mOvol1, mouse OVOL1 (GenBank acc. no. AF134804); hOvol1, human OVOL1 (GenBank acc. no. AF016045); mOvol2, mouse OVOL2 (GenBank acc. no.AY090537); hOvol2, human OVOL2 (GenBank acc. no. AK022284); mOvol3, mouse OVOL3 (GenBank acc. no. BF714064); hOvol3, human OVOL3 (GenBank acc. no. AD001527). The Ovo gene family encodes evolutionarily conserved proteins contain four DNA-binding C2H2 zinc fingers at the C termini and possess transcriptional regulatory activities in diverse array of organisms from Caenorhabditis elegans, Drosophila, Zebrafish, chick, and mammals. Drosophila ovo, the founding member of the family, acts genetically downstream of Wg (fly Wnt homolog) and DER (fly epidermal growth factor receptor homolog) signaling pathways and is required for epidermal denticle formation and oogenesis. OVOL proteins are characterized by the presence of hypervariable ID regions. A. Mouse OVOL1 has ID residues in the first 100 amino acids. B. Mouse OVOL2 possesses ID residues in the first 50 amino acids with a glycine-rich and serine rich region as marked in red color. C. Mouse OVOL3 has ID segments within the N-terminal 100 residues. D. Drosophila OVO is intrinsically disordered with large patches of residue biasness as indicated by the red color. We used DISOPRED2 software  for the prediction of ID regions. The horizontal line indicates the ordered/disordered threshold for the default false positive rate of 5%. The ‘filter’ curve represents the outputs from DISOPRED2 and the ‘output’ curve represents the outputs from a linear support vector machine (SVM) classifier (DISOPREDsvm). The outputs from DISOPREDsvm are included to indicate shorter as low confidence predictions of disorder. This gene family is identified as mammalian Ovol (Ovo-like) genes, including Ovol1(movo1), Ovol2 (movo2), and Ovol3 (movo3) in mice and OVOL1, OVOL2, andOVOL3 in humans. Ovol1 is the most studied compared to Ovol2 and Ovol3. Phylogenetic history of OVOL proteins using the Bayesian method. 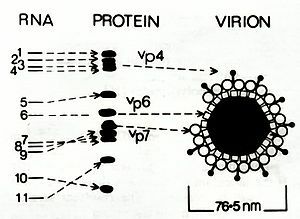 A. Full-length OVOL proteins. B. Selected region of OVOL proteins. “Molecular phylogeny of OVOL genes illustrates a conserved C2H2 zinc finger domain coupled by hypervariable unstructured regions.” Kumar A, Bhandari A, Sinha R, Sardar P, Sushma M, Goyal P, Goswami C, Grapputo A. PLoS One. 2012;7(6):e39399. doi: 10.1371/journal.pone.0039399. Epub 2012 Jun 21. “Gapped BLAST and PSI-BLAST: a new generation of protein database search programs.” Altschul SF, Madden TL, Schäffer AA, Zhang J, Zhang Z, Miller W, Lipman DJ. Nucleic Acids Res. 1997 Sep 1; 25(17):3389-402. Drosophila ovo/svb (dovo) is required for epidermal cuticle/denticle differentiation and is genetically downstream of the wg signaling pathway, so does a mouse homolog of dovo, movo1. Also, Li group showed that movo1 promoter is activated by the lymphoid enhancer factor 1 (LEF1)/β-catenin complex, a transducer of wnt signaling. Simply these data showed movo1 is a developmental target of wnt signaling during hair morphogenesis in mice, and there is a conserved regulatory pathway at wg/wnt-ovolink in epidermal appendage. human OVOL1 has been identified as a gene that is responsive to TGF-β1/BMP7 treatment via a Smad4-dependent pathway (Kowanetz et al., 2004). Ovo1 li“Characterization of a human homolog (OVOL1) of the Drosophila ovo gene, which maps to chromosome 11q13.” Chidambaram A, Allikmets R, Chandrasekarappa S, Guru SC, Modi W, Gerrard B, Dean M. Mamm Genome. 1997 Dec;8(12):950-1.nks Wnt signaling with N-cadherin localization during neural crest migration Development 2010 137 (12) 1981-1990. “Expression of murine novel zinc finger proteins highly homologous to Drosophila ovo gene product in testis.” Masu Y, Ikeda S, Okuda-Ashitaka E, Sato E, Ito S. FEBS Lett. 1998 Jan 16;421(3):224-8. Brain development is fascinating and complex since cranial neurulation is an integral component of brain morphogenesis and there are factors present outside of the neuroepithelium can also affect the morphogenesis of the cranial neural tube. Previous studies revealed Ovol2 expression in brain, testis, and epithelial tissues such as skin and intestine of adult mice (Li et al., 2002a). OVOL2 orthologs identified in vertebrates by comparing chromosomal localization. Neural/non-neural cell fate decisions is carried by bone morphogenetic protein (BMP) signaling, which inhibits precocious neural differentiation and allows for proper differentiation of mesoderm, endoderm, and epidermis, during early embryonic development. There are many unknown in this mechanism yet the expression of Ovol2, which encodes an evolutionarily conserved zinc finger transcription factor, is down-regulated during neural differentiation of mouse embryonic stem cells since null Ovol2 in embryonic stem cells facilitates neural conversion and inhibits mesendodermal differentiation, whereas Ovol2 overexpression gives rise to the opposite phenotype. Furthermore, the studies also prove BMP4 and ovo2 interacted to rescue these changes. If BMP4 is provided, Ovol2 knockdown partially rescues the neural inhibition. Mechanism studies show the regulation pattern between these BMP and Ovol2. BMP4 directly regulates Ovol2 expression through the binding of Smad1/5/8 to the second intron of the Ovol2 gene. Thus, Ovol2 acts downstream of BMP pathway. In addition, in vivo chick studies presented that when Ovol2 is ectopically expressed the prospective neural plate represses the expression of the definitive neural plate marker cSox2In the chick embryo. Also, lack of Ovol2 prevented increase BMP4 expression. During early germ layer development there is an important comment between neuroectoderm and mesendoderm provided by Ovol2. In addition, Ovol2 acts in downstream of key developmental signaling pathways including Wg/Wnt and BMP/TGF-β. Based on findings from chromatin immunoprecipitation, luciferase reporter, and functional rescue assays, Wells group demonstrated that Ovol2 directly represses two critical downstream targets, c-Mycand Notch1. Hence, this action suppresses keratinocyte transient proliferation and terminal differentiation. Like a twilight zone to choose when to proliferate and when to resist differentiation. “Ovol2, a Mammalian Homolog of Drosophila ovo: Gene Structure, Chromosomal Mapping, and Aberrant Expression in Blind-Sterile Mice.” Baoan Li, Qian Dai, Ling Li, Mahalakshmi Nair, Douglas R. Mackay, Xing DaiGenomics Volume 80, Issue 3, September 2002, Pages 319–325. Wells J, Lee B, Cai AQ, Karapetyan A, Lee WJ, Rugg E, Sinha S, Nie Q, Dai X.
J Biol Chem. 2009 Oct 16;284(42):29125-35. doi: 10.1074/jbc.M109.008847. Epub 2009 Aug 21. “The zinc finger transcription factor Ovol2 acts downstream of the bone morphogenetic protein pathway to regulate the cell fate decision between neuroectoderm and mesendoderm.” Zhang T, Zhu Q, Xie Z, Chen Y, Qiao Y, Li L, Jing N. J Biol Chem. 2013 Mar 1;288(9):6166-77. doi: 10.1074/jbc.M112.418376. Epub 2013 Jan 14. “The mouse Ovol2 gene is required for cranial neural tube development” Douglas R. Mackaya, Ming Hua, Baoan Lia, Catherine Rhéaumea, Xing Dai.l Developmental Biology Volume 291, Issue 1, 1 March 2006, Pages 38–52. While tracing the OVOL genes, we identified a third OVOL gene, OVOL3, in a wide array of mammals including humans (chromosome 19), chimpanzees (chromosome 19), mice (chromosome 7), rats (chromosome 1), cows (chromosome 18), pigs (chromosome 6), and opossums (chromosome 4) with a conserved synteny. The conserved synteny comprises an octet of genes, LIN37-PRODH2-KIRREL2-APLP11-NKF3ID-LPFN3​-SDHAF1-CLIF3,on one side and POLR2L-CAPSN1-COX7A1 on the other side of OVOL3 in a region of about 400 kb (Figure 5 of http://www.plosone.org/article/info%3Adoi%2F10.1371%2Fjournal.pone.0039399). Synteny analysis of OVOL3 genes illustrates the loss of OVOL3a after duplication event and maintenance of paralogous OVOL3b in fishes. “The DNA sequence and biology of human chromosome 19.” Grimwood J, et al. Nature. 2004 Apr 1;428(6982):529-35. Long non-coding RNAs recognized after transcriptome sequencing and studied more closely recently thanks to genomic tiling arrays, cDNA sequencing and RNA-Seq, which they have provided initial insights into the extent and depth of transcribed sequence across human and other genomes. How many are there in the genome? What are their mechanisms? How can we use them in molecular diagnostics and targeted therapies? How do they effect the function in a disease? Is it possible to modulate gene expression at the level of stem cell to redirect the cell differentiation? These are the main questions that we are looking for. In early 90s actually first lincRNA was described, Xist. The main function was dosage compensation. Then in 2000s FANTOM consortium project changed the perspective on these long transcripts. 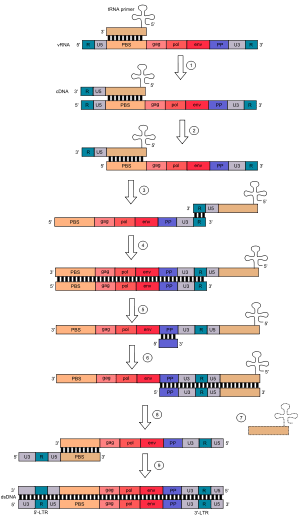 Then they are called natural antisense transcripts (NATs), because very large number of these transcripts is overlapping with, and is transcribed in the antisense direction, to protein-coding genes. As a result of this study 11000 lincRNA discovered from full length cDNAs in mice. Later, yet another shift occur since these transcribed units are solely located in the introns or within “junk” DNA of protein-coding genes. Another independent study quantified that about 40% of protein-coding genes express NATs. 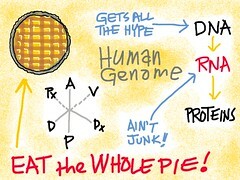 Proven that there is nothing junk about DNA. Then, it was found that there are 8000 lincRNAs and among these 4000 are determined since they provide cell identity with multi-exogenic, polyadenylated, capped, ether in the cytoplasm or in the nucleus. However, even more recent studies show that there are about 20,000 lincRNAs. Furthermore, lincRNAs are classified under three distinct class: 1. Long-non-coding RNAs away from protein-coding genes, 2 NATs transcribed from the opposite strand of protein-coding genes, 3. Intronic lincRNAs expressed from within the introns of protein coding genes. Their function is under study. However, keep in mind that they are redundant, so deleting or creating null mutations may or may not answer specific development questions. On the other hand, epigenetics, gene imprinting, and pathologies can be the best resource to identify their specific roles in biological functions and interactions. Distinct gene regulation either as a cis or trans element, gene imprinting, modulating alternative splicing, nuclear organization, determining a chromatin structure are under study. This will allow us to relate genome structure and function in health and disease better. Identification of their function during biological responses require a long way to be completed due to complexity since lincRNAs also regulate microRNAs. Regardless of many obstacles there is a progress. Disregulation of these lincRNA mainly observed in several cancer types, prostate, breast, hepatocellular carcinoma, colorectal, glioma and melanoma, possibly more. Most of the studies are done in vitro. However, there are many great model organism work as well, such as mice, zebra fish, and worm. It was also not surprising that their regulation possibly under control of hormones based on circadian clock of our body. So better to sleep eight hour a day is not a cliché. Next topic will include understanding of lincRNA mechanisms and epigenetics followed by lincRNAs during disease and cellular genesis. PNAS May 9, 2000; 97(10): 5516–5521. is useful for the engineering of large RNA molecules. has been cloned as a bacterial artificial chromosome. the antigenic characteristics expected for the synthetic virus. 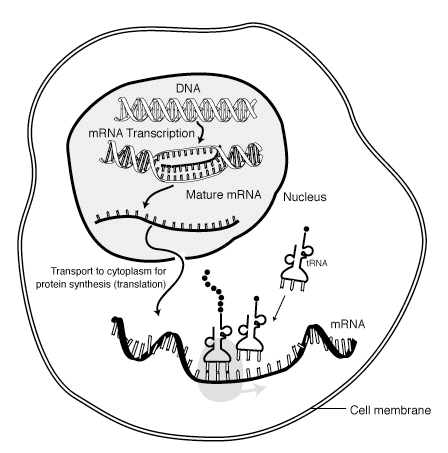 the RNA translocated to the cytoplasm. the spike gene of an enteric isolate. the tropism and virulence of the recovered coronavirus can be modified.